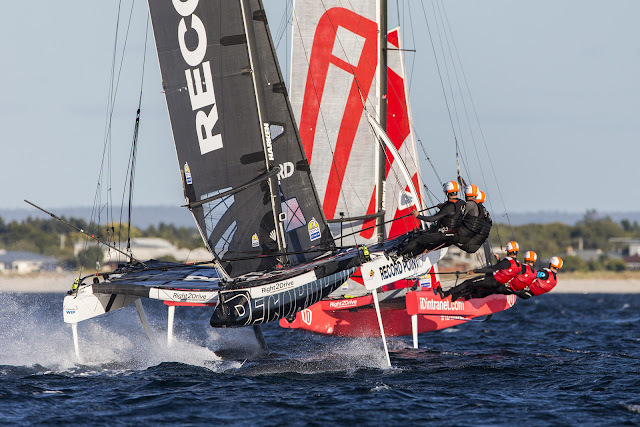 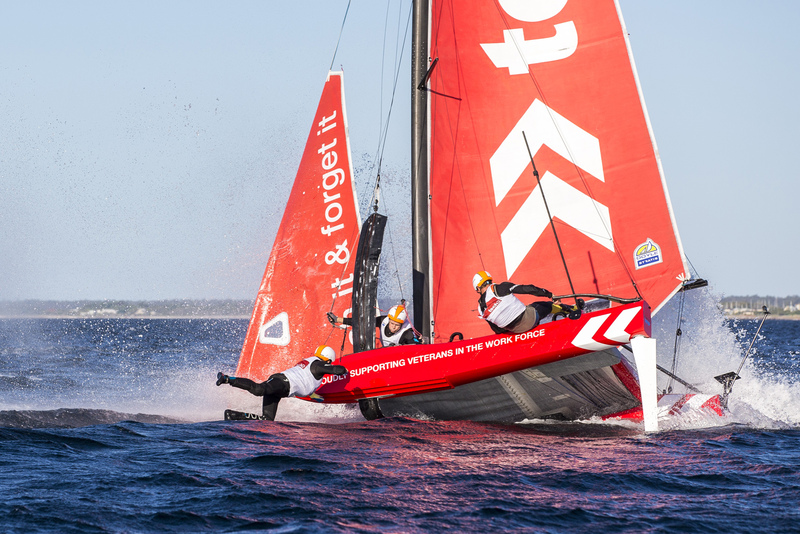 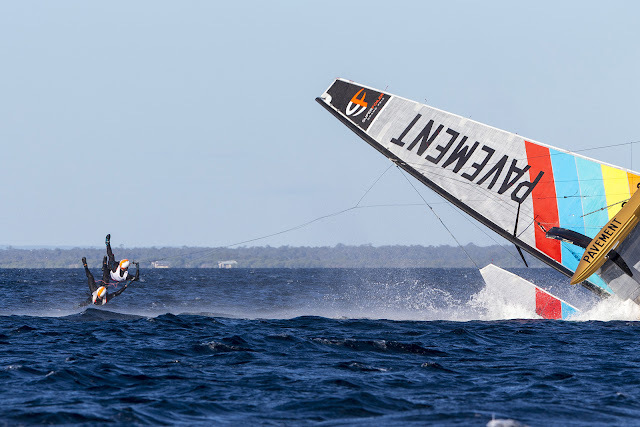 Wild action photos by Andrea Francolini , sent by Nick Vindin / Superfoiler GP. 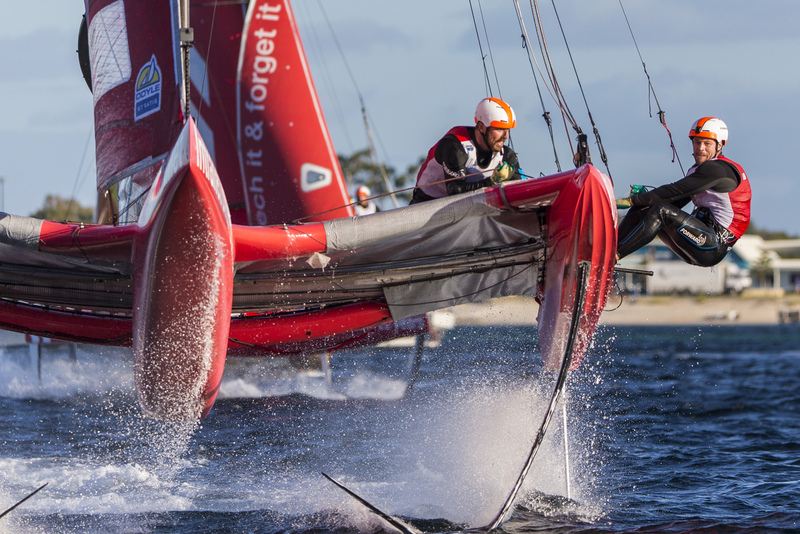 Click pics for HQ & slideshow. 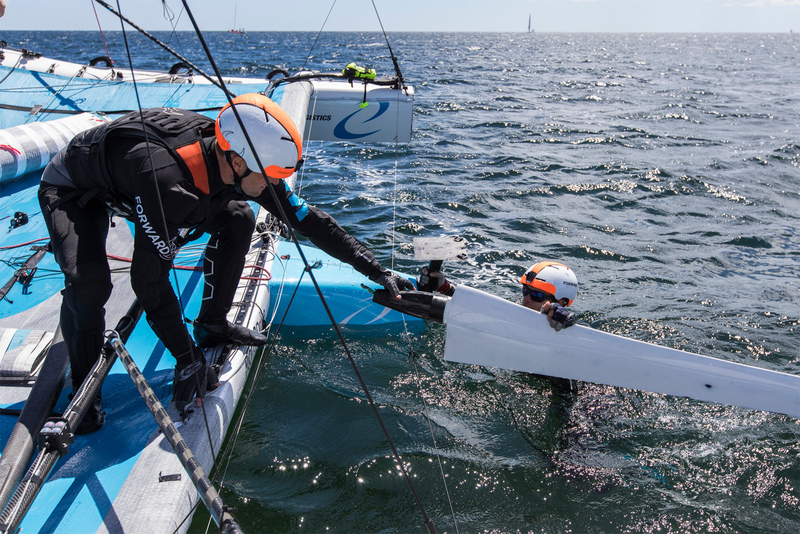 More images at SuperFoiler Fb - Euroflex had equipment issues while training and couldn't complete racing, in doubt for the weekend, details here. 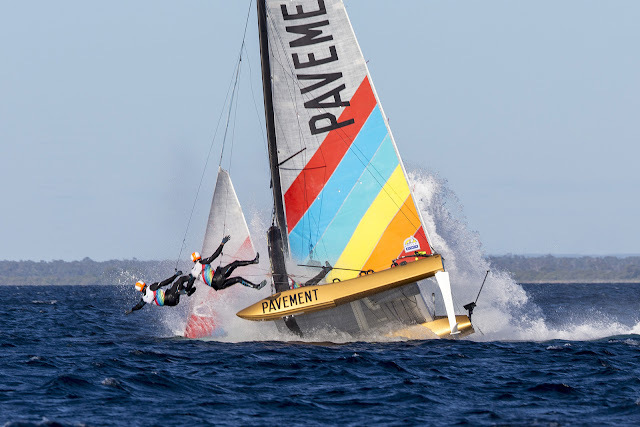 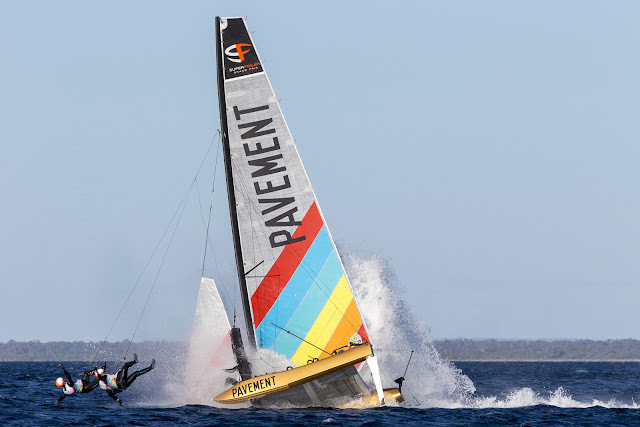 "World Match Racing Champion Phil Robertson has become just the third skipper to claim victory in this year's SuperFoiler Grand Prix with the kiwi sailor grabbing a race win before smarting that he was denied a second as speed records tumble and sailors fly through the West Australian sky in a string of spectacular capsizes.